In a Nutshell: Digital banks aren’t a new phenomenon in financial services. Many tech startups have leveraged lower overhead costs to offer fee-free online-only accounts for a decade or longer. But while new digital institutions seem to pop up daily, Chime Bank continues to be a leader in digital savings and checking accounts because of its commitment to advancing its members’ financial lives. 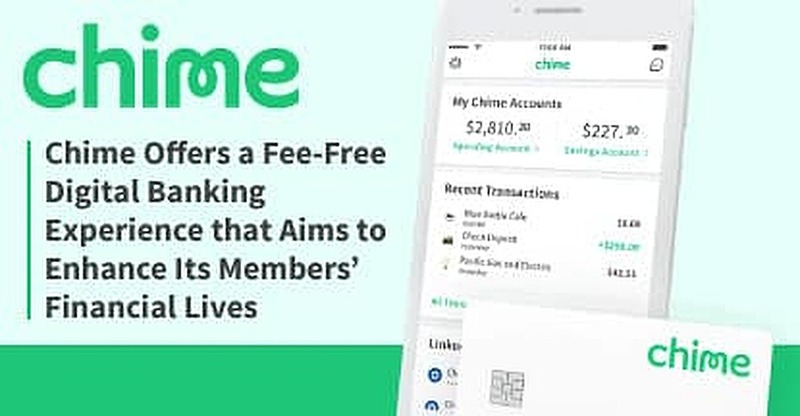 Chime charges no fees on its accounts or debit cards and offers a feature-rich app that helps members save money. Members who direct deposit their paychecks often receive their money two days earlier than they would with traditional accounts thanks to Chime advancing the funds to the account at no extra charge. Signing up for and funding an account through the company’s website or mobile application takes less than two minutes and a Visa-branded debit card arrives in the mail in less than a week. Some national banks, many of which have been in business for more than 100 years, choose to base their advertising campaigns on their long history of operations. On the surface, this can seem like a very impressive feat. But banking in 2018 isn’t what it was in 1918. The internet has completely transformed an industry once focused on interpersonal relationships and face-to-face communication. And having 100 years of institutional history doesn’t necessarily prepare a bank for the digital age of financial services. A rise in the number of digital banks proves that many consumers are moving away from the brick-and-mortar banking experience and opting for the convenience of always-open access to their accounts from their cellphones and computers. Younger, tech-savvy entrepreneurs often create and run these companies because they understand the needs and desires of their peers. Chime Bank is at the forefront of the digital banking revolution here in the US. Since 2013, the San Francisco-based tech company has been focused on creating financial products that meet the needs of an emerging class of young professionals who conduct most of their daily transactions — and personal interactions — digitally. A Chime Bank account can be accessed through a mobile app or web-based interface. Without the high overhead costs of nationwide bank chains, Chime can offer a fee-free experience for users of its savings, checking, and debit products. Britt said his team purposely designed the app experience to help Chime’s members advance their financial lives. The easy-to-use interface eases some of the frustration that consumers currently feel with many harder-to-navigate online offerings from banks. Chime recently eclipsed the 1 million-member mark and continues to grow as the mobile application regularly ranks as a top digital banking download on the Apple App Store and Google Play Store. Chime is for people who are “frustrated with their core banking relationship,” says its CEO. Britt said Chime’s current members are an equal male-female mix, but the company’s age demographic skews to a younger audience. Chime has struck a chord with people who are early in their professional careers, with most of its members ranging between 25 and 35 years old. 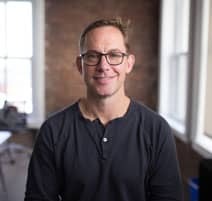 “We’re for people who place a greater value on the digital and app experience than they do in a physical branch environment,” he said. A majority of Chime account holders sign up through the mobile app, though the company does offer an online application that creates a new account in a matter of minutes. Once you open an account, Chime sends you a Visa-branded debit card to begin conducting physical transactions from your account. 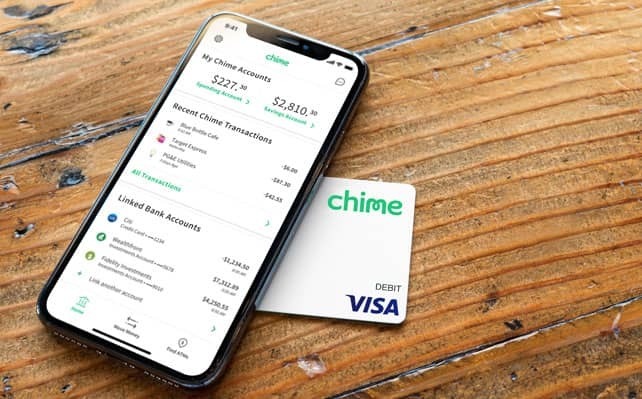 Since Chime charges no account fees, most of the company’s revenue comes from a small percentage it receives from Visa each time the card is used. Account holders who have their paychecks directly deposited into their account often have the luxury of getting paid before their co-workers. That’s because Chime’s Get Paid Early feature often results in direct deposits reaching accounts two days earlier than they would through a traditional bank account. “Typically, payroll departments initiate payroll on a specific day — let’s say a Tuesday,” Britt explained. “The money won’t then get into your account until Friday. That’s because the US payment system works through the ACH system. There’s no additional charge for the Get Paid Early service and all users who’ve set up direct deposit can use the feature. Britt said the company’s steady growth over the last five years not only impacts Chime’s bottom line but benefits its members, too. The bank is in the planning stages for several new products and services that it will unveil as the company strengthens its foothold in the digital banking market. Chris Britt, Co-Founder and CEO of Chime Bank. This rapid growth and expansion of services has the bank breaking past its original demographic of young professionals and increasing its appeal to consumers of all ages. Beyond the obvious free perks, Britt said the company attracts new customers because of its commitment to its growth and success.